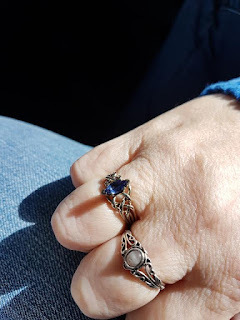 We went to the Ren Fair and shopped for jewelry, evidently. Andreas went in to the puzzle ring shop, leaving me to look around as he put one back together. Surprise! I found this ring and fell in love with it. It's an early Christmas present from him.